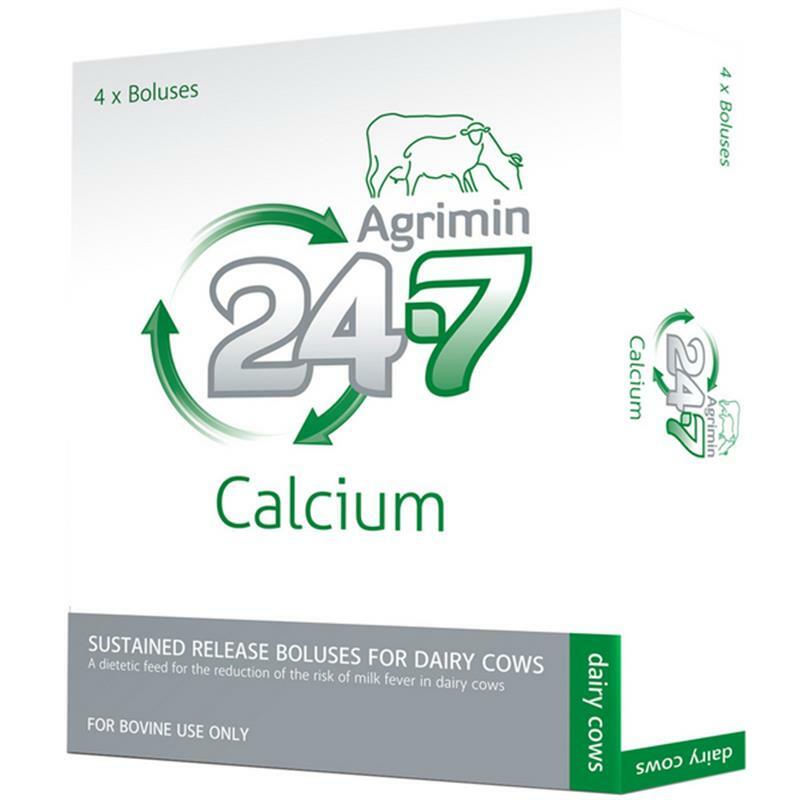 Agrimin 24.7 Calcium Bolus - Pack of 4. A short-term sustained release bolus containing calcium. Intended for use in adult dairy cows at calving.